Let’s say you’re looking SPECIFICALLY and ONLY for a home with a PARTICULAR FEATURE, how about “Panoramic” views. Make sure to play the shown below the search map. Once you’ve created that Specific Feature Search Palos Verdes homes, did you know that you can save that search and create an alert for the results. In the future then, whenever an agent lists a property that matches the criteria you’ve entered for specific feature search palos verdes homes, you will get an email notifying you of that new listing. See the “Alerts” icon on the right hand side of the map? Just click that to create your alerts. 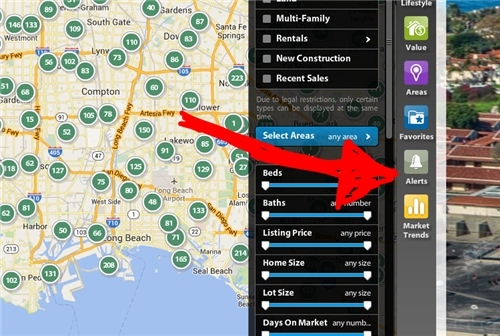 It’s literally that easy to use specific feature search palos verdes homes. Using KEYWORDS to search for SPECIFIC FEATURES in Palos Verdes Homes from bestpalosverdeshomes on Vimeo. Let’s say you’re looking SPECIFICALLY and ONLY for a home with a PARTICULAR FEATURE, how about “Panoramic” views. Based on information from California Regional Multiple Listing Service, Inc. as of April 25, 2019 10:42 and/or other sources. All data, including all measurements and calculations of area, is obtained from various sources and has not been, and will not be, verified by broker or MLS. All information should be independently reviewed and verified for accuracy. Properties may or may not be listed by the office/agent presenting the information.